Many people see the fall and winter as a time to close down the garden and wait until the spring to start up gardening activities again. However, there are plenty of things you can be doing through the fall and winter months to continue enjoying the pleasures of gardening. 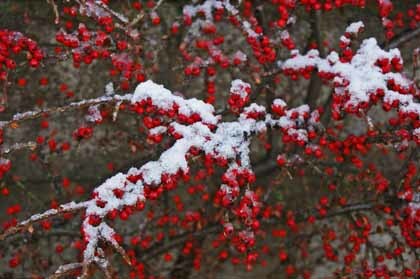 Winter is an important period in the gardening season, more so than you’d think. While winter is in full swing, compost is continuing to decompose and get ready for use for the spring. Additionally, winter is a great time to grow cover crops which will help improve the soil for the next season. There are also plenty of plants that you can grow during the fall and winter, both indoors and out. Also, you can strategically plan a winter garden so that you can enjoy color and attractive plants all year long. See our section on ornamental plants for the winter garden for more information. Of course, people in warmer states such as California and Florida have more opportunities for fall and winter gardening. However, no matter where you live you can enjoy working with plants all year round. Please continue reading for more information on how to take pleasure in your garden during the fall and winter.